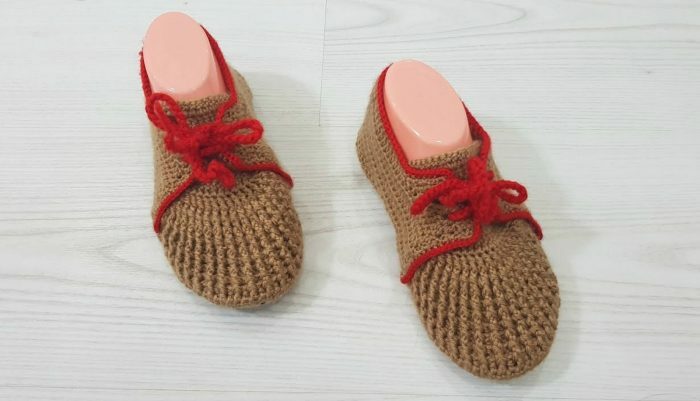 If you want to crochet some warm and comfy shoes for this Autumn season then you’re gonna love these pretty crochet shoes on flip flop soles. I was so charmed and impressed with this project when I found it that I’ve decided to work it up as soon as it’s possible. Because of their flip flop soles, these lovely shoes work equally well as house slippers or outdoor shoes. So, here it is – a finished project with the step by step crochet guidelines. Just follow this easy video tutorial and try to make each and every stitch according to the instructions. These crochet shoes are so eye-catching that it’s almost impossible not to love them. Please, enjoy your crafting and do not forget to share your experience with us and other crochet hookers in a comment section down below. Good luck and happy crocheting. This is a step by step video tutorial by one of my favorite Ören Hanım. The original tutorial is in turkish but you can always choose different caption languages by clicking the captions icon on a video. Hope you’ll love this crochet shoes as much as I do. Good luck.